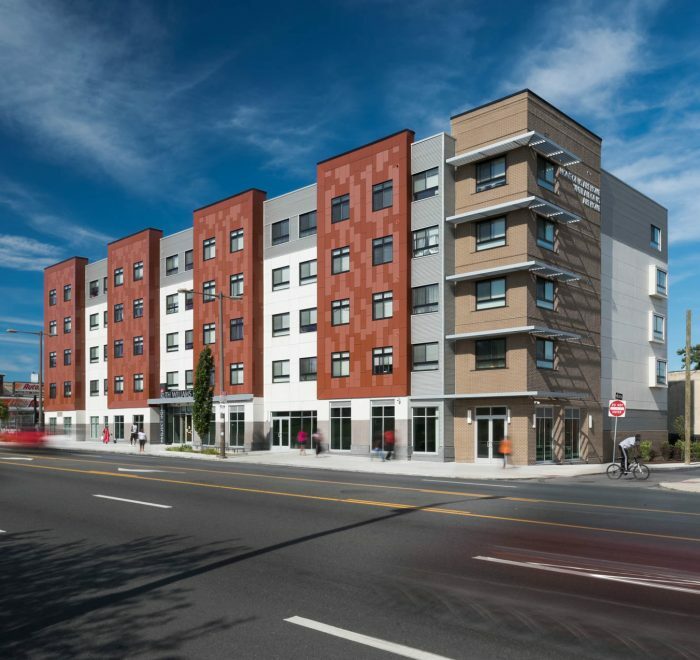 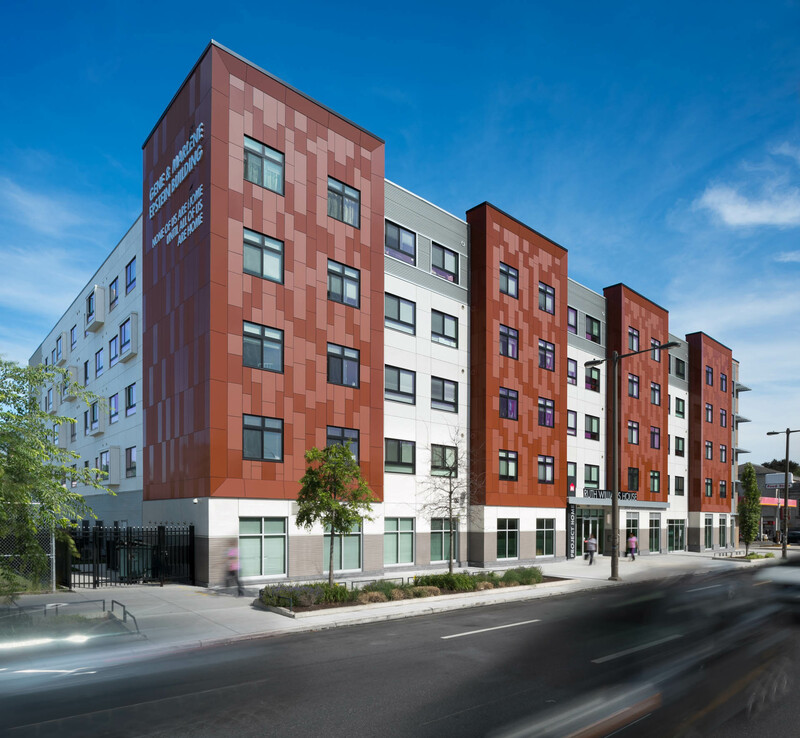 Located only a few blocks from Temple University in Philadelphia’s Glenwood section, this new, affordable, five-story residential development at the corner of North Broad Street and Boston Street in Philadelphia, PA contains a total of eighty-nine (89) apartments—eighty-eight (88) of which are set aside for formerly homeless individuals. 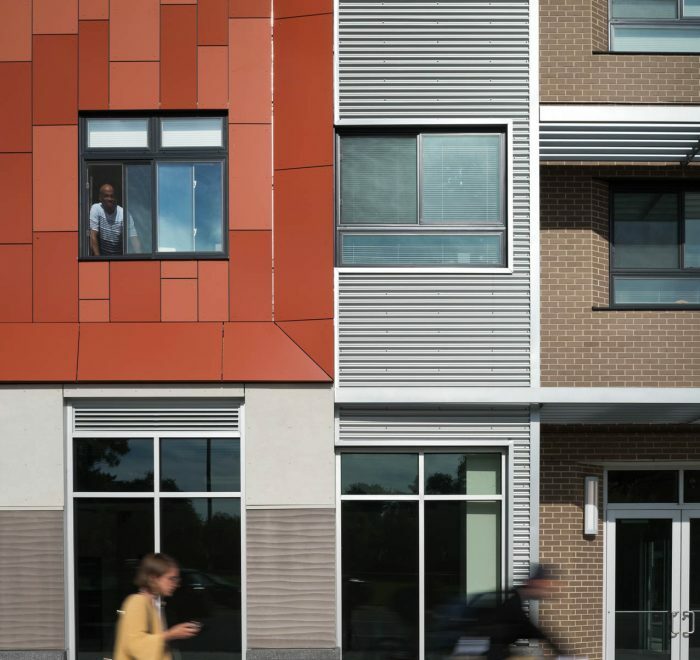 The site is a 0.6 acre parcel of land that is adjacent to single-family row-homes on the east and southeast sides, with commercial uses to the north and south. 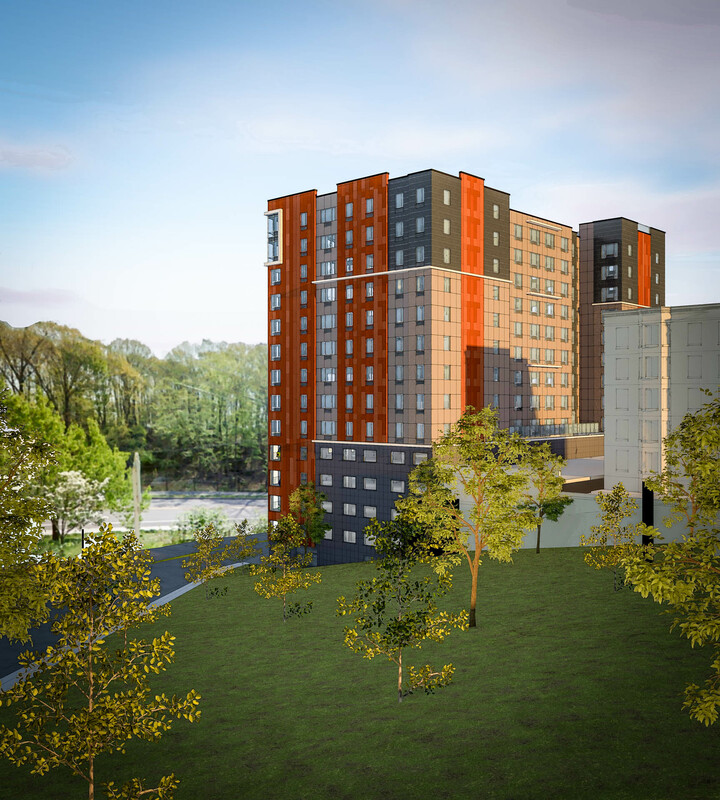 The project features a variety of resident amenities including a large outdoor space providing a quiet escape from the bustle of the surrounding city. 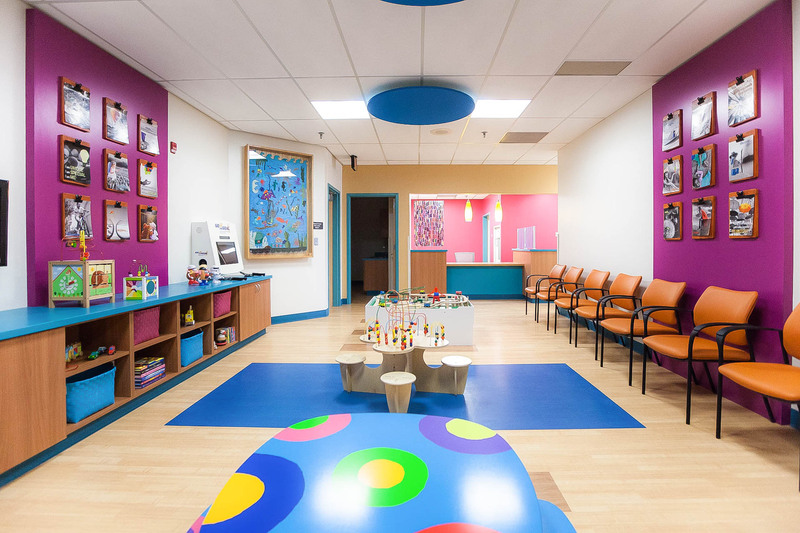 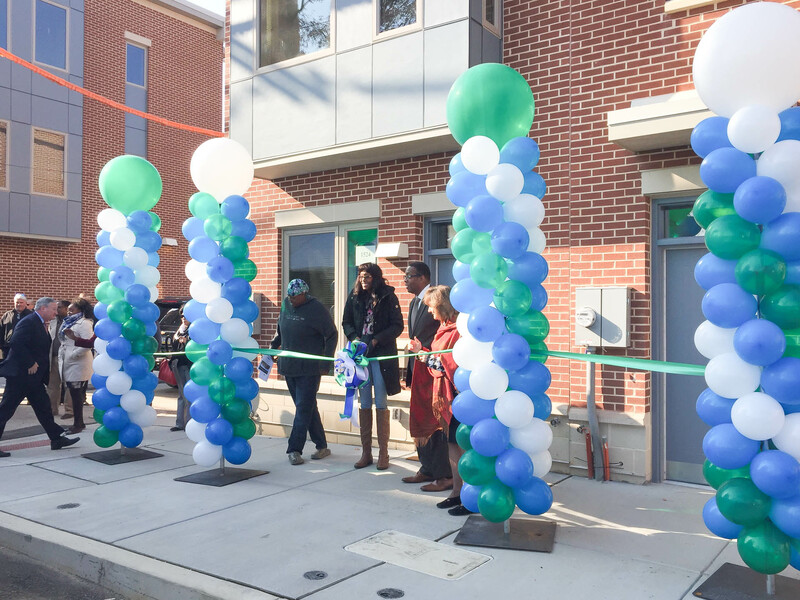 The building also contains a 2,000 square foot retail space on the first floor, and a space that can be occupied by local business to help revitalize the street and enhance the commercial fabric of the neighborhood. 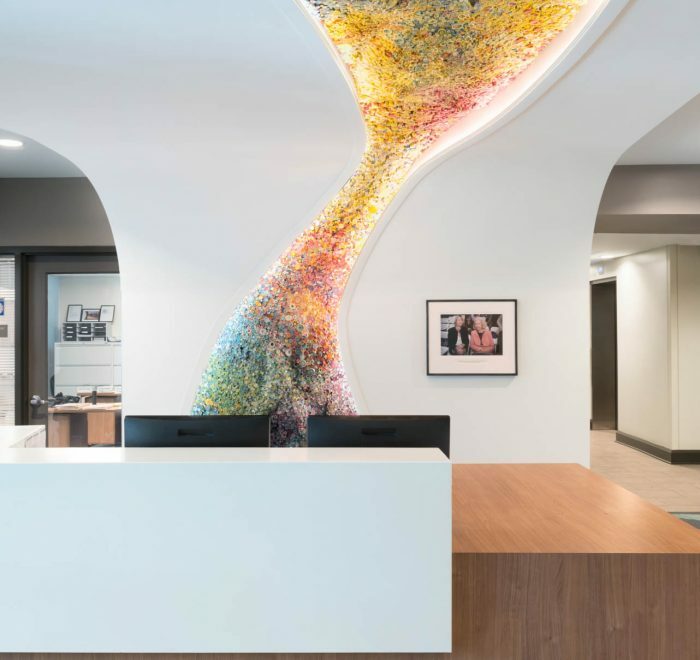 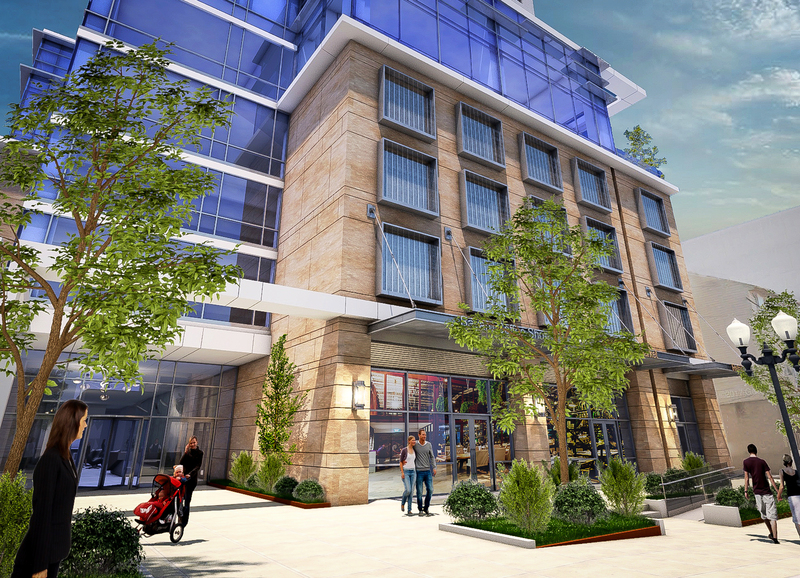 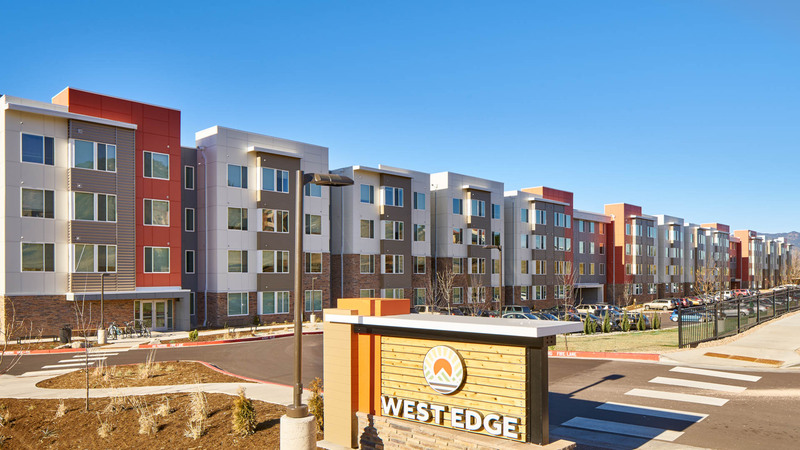 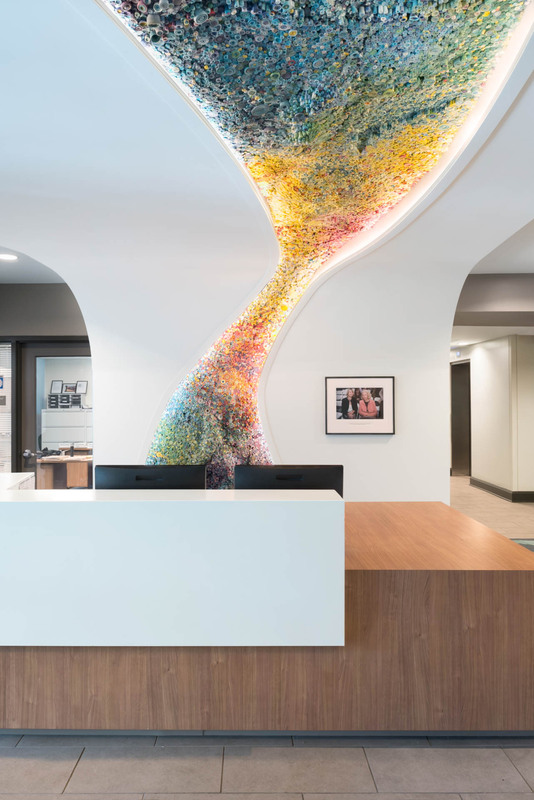 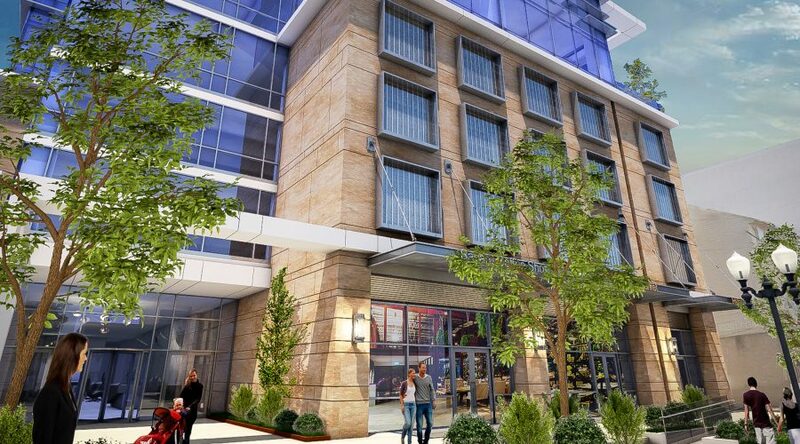 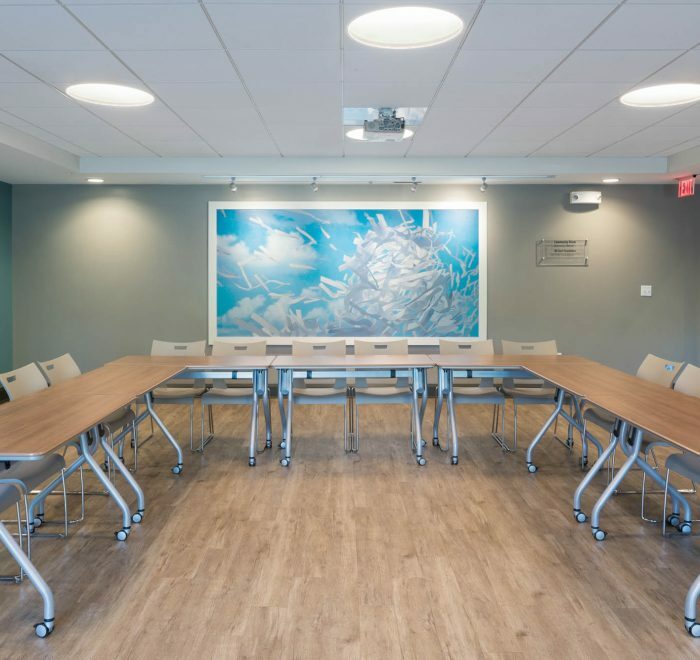 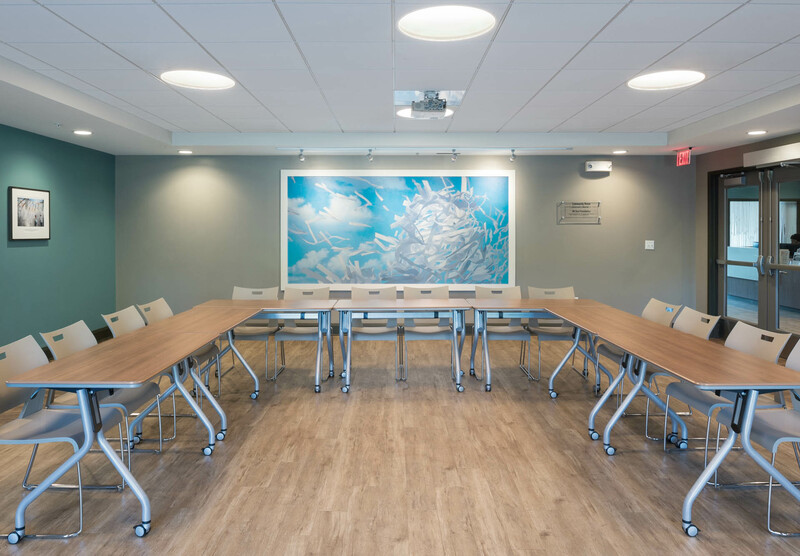 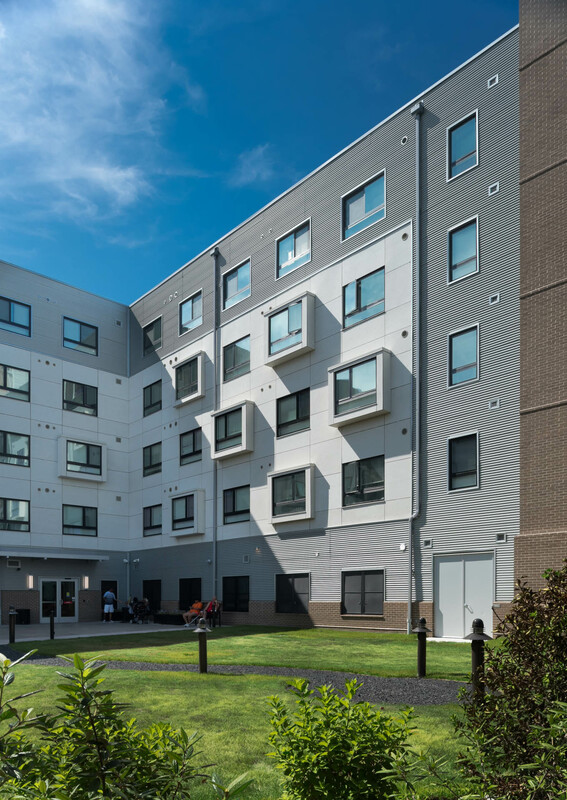 This development is LEED® Silver certified, it meets Enterprise Green Communities Criteria, and also meets ENERGY STAR® Multifamily High Rise requirements. 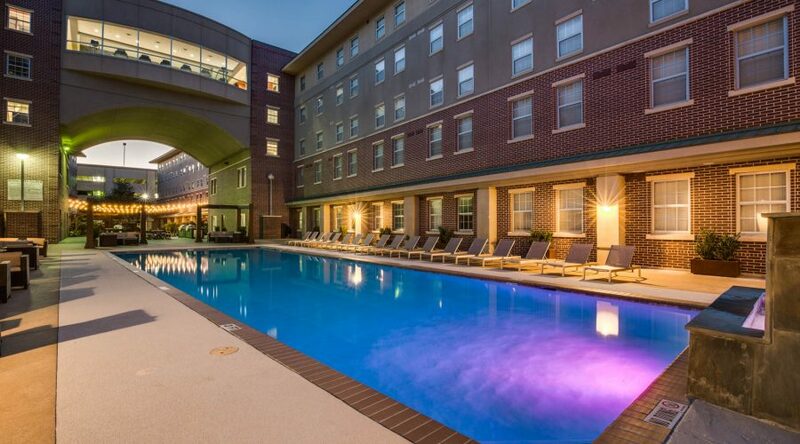 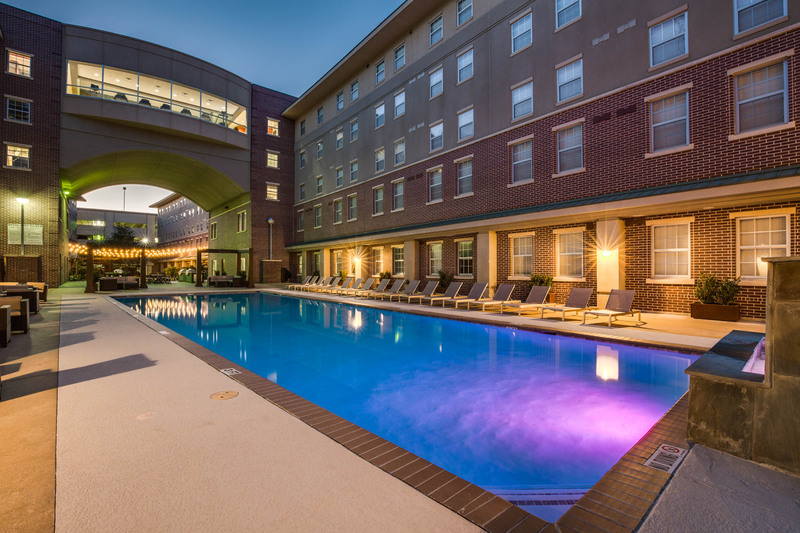 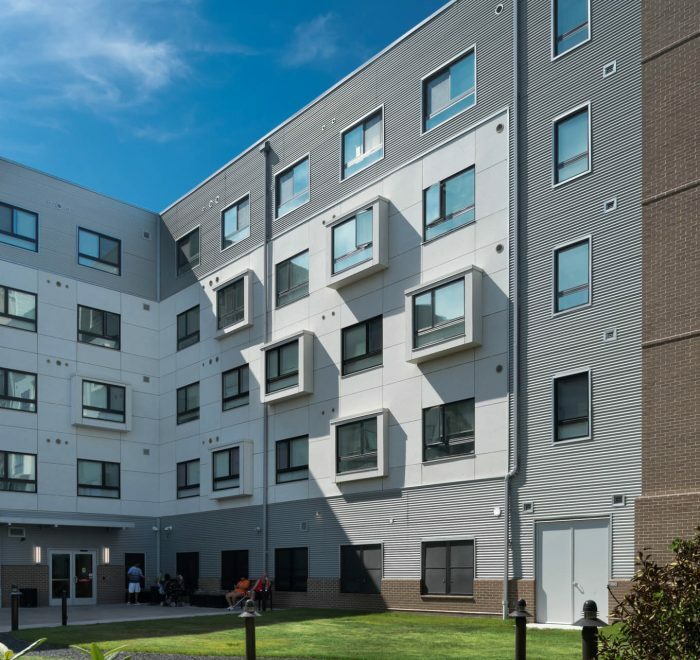 The apartments have achieved a HERS 45 rating, which is well beyond the typical energy efficiency levels for affordable housing in this market. 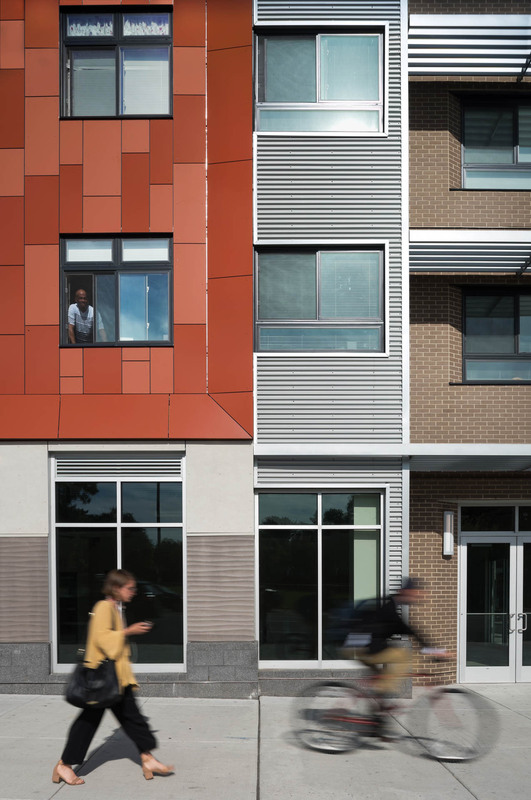 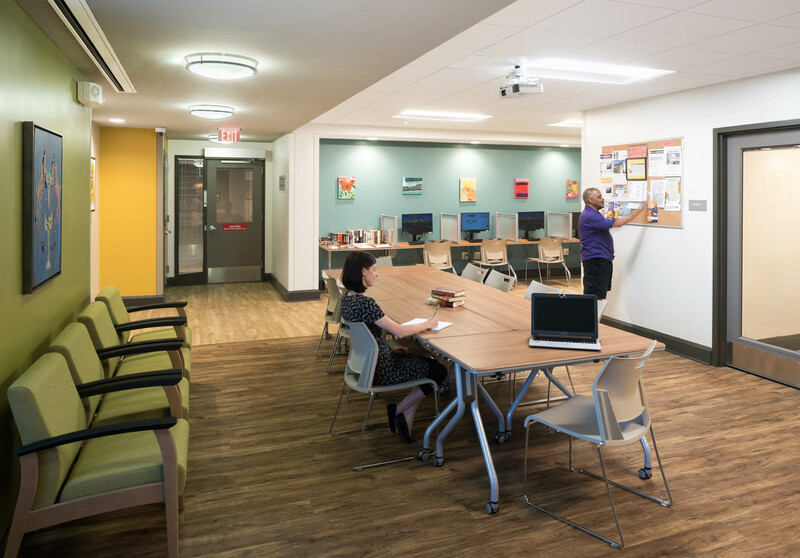 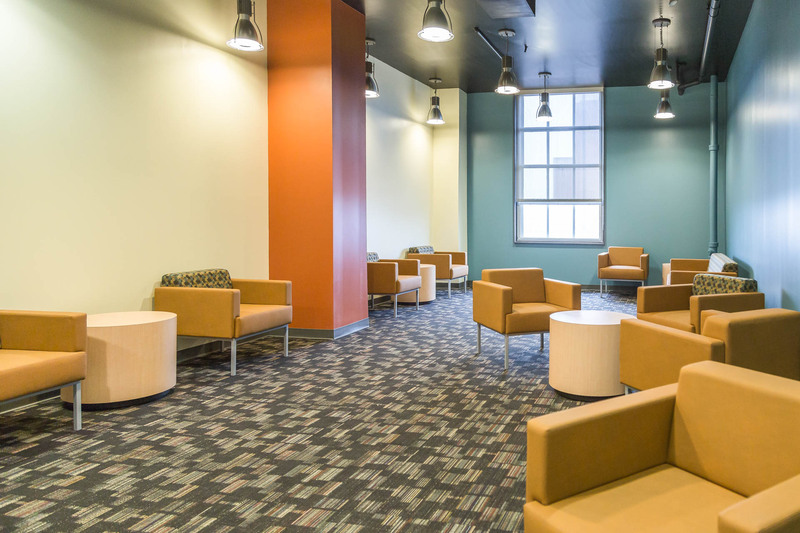 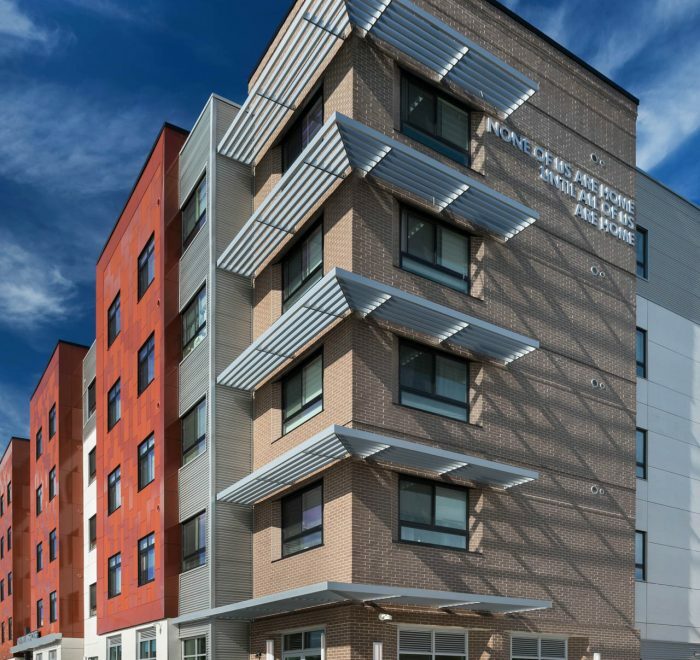 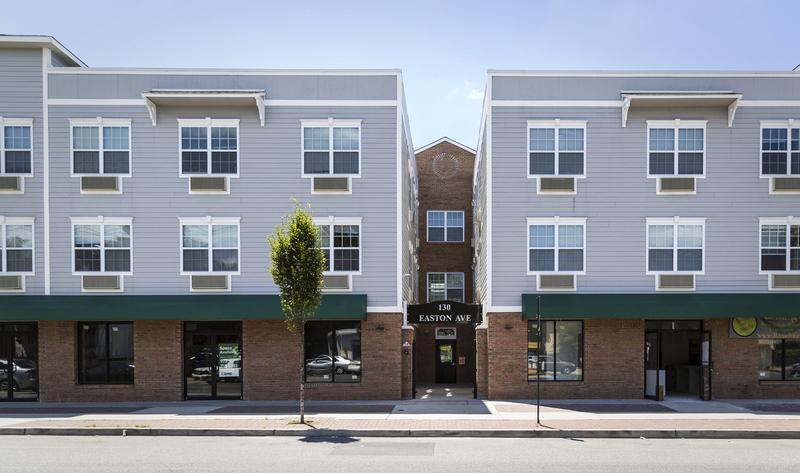 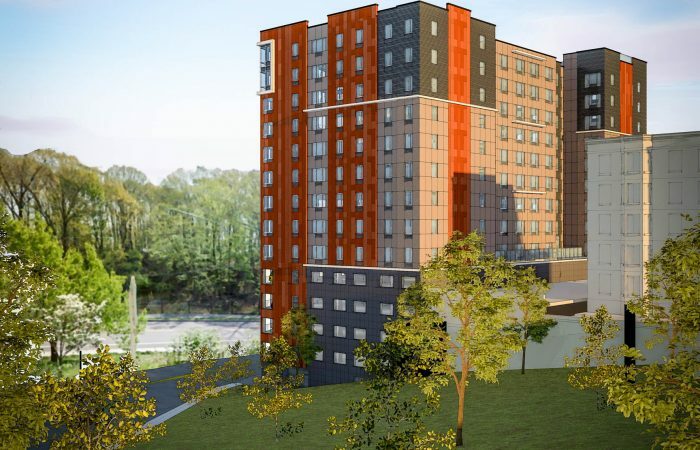 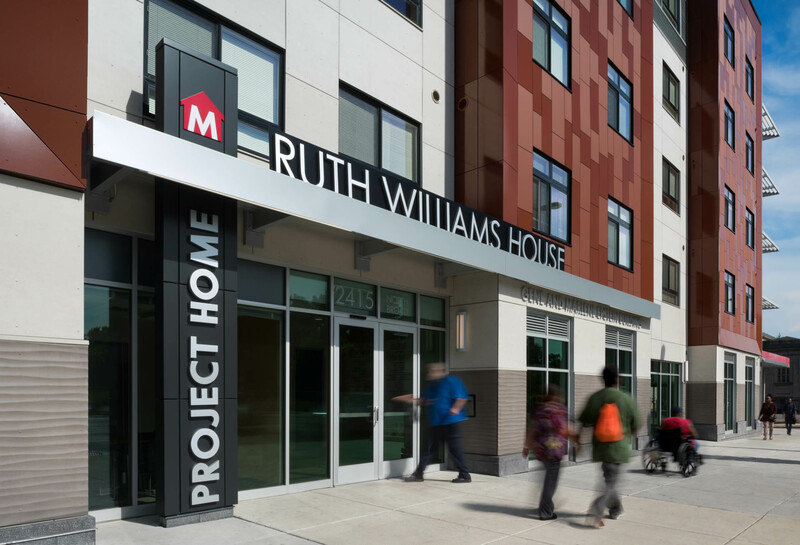 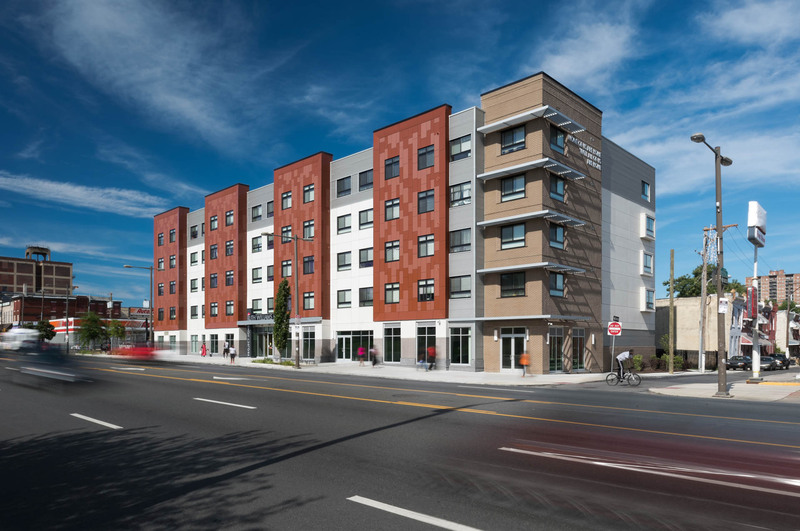 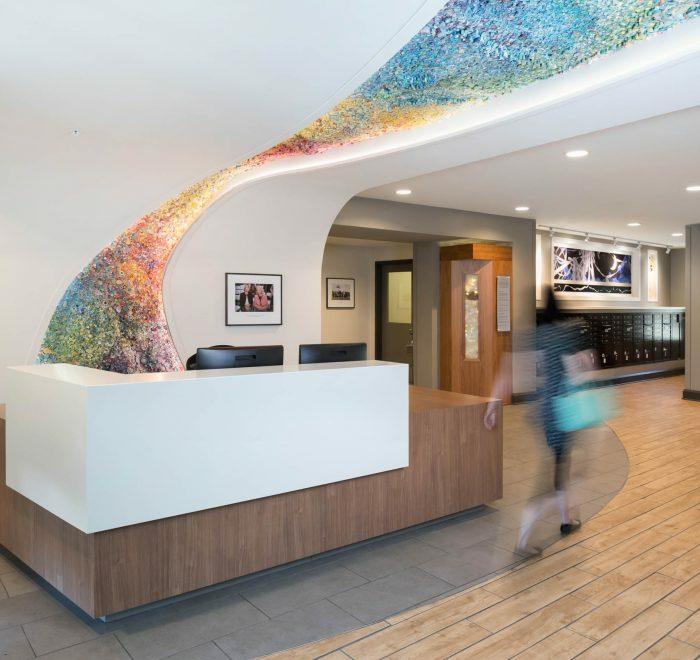 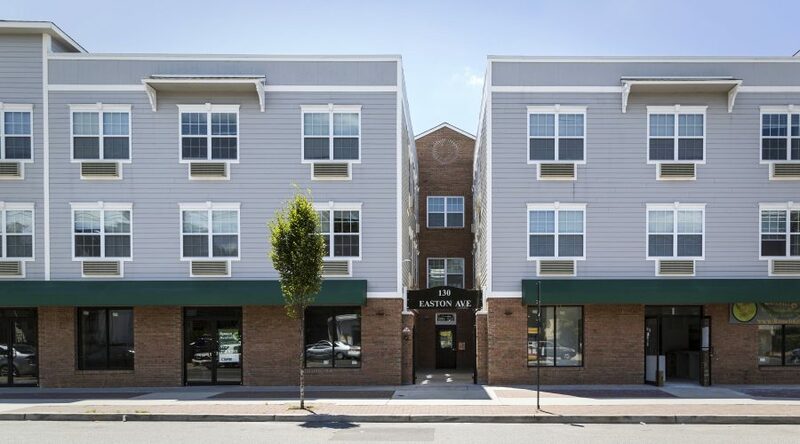 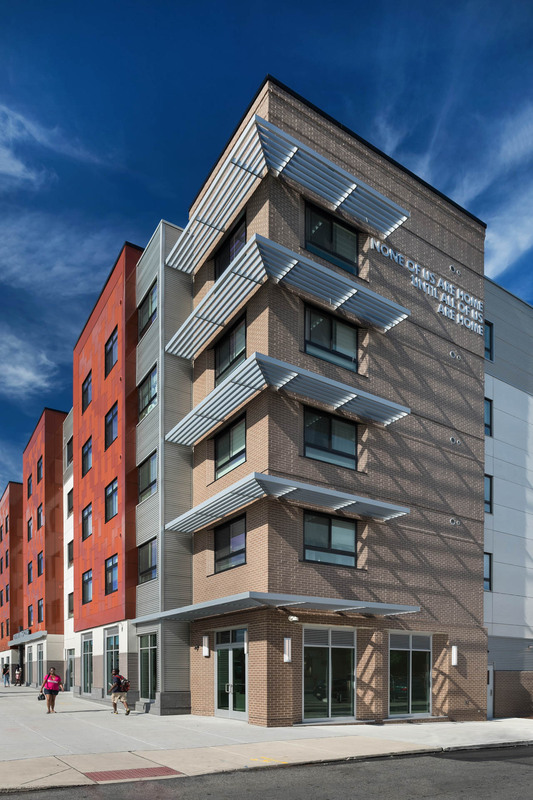 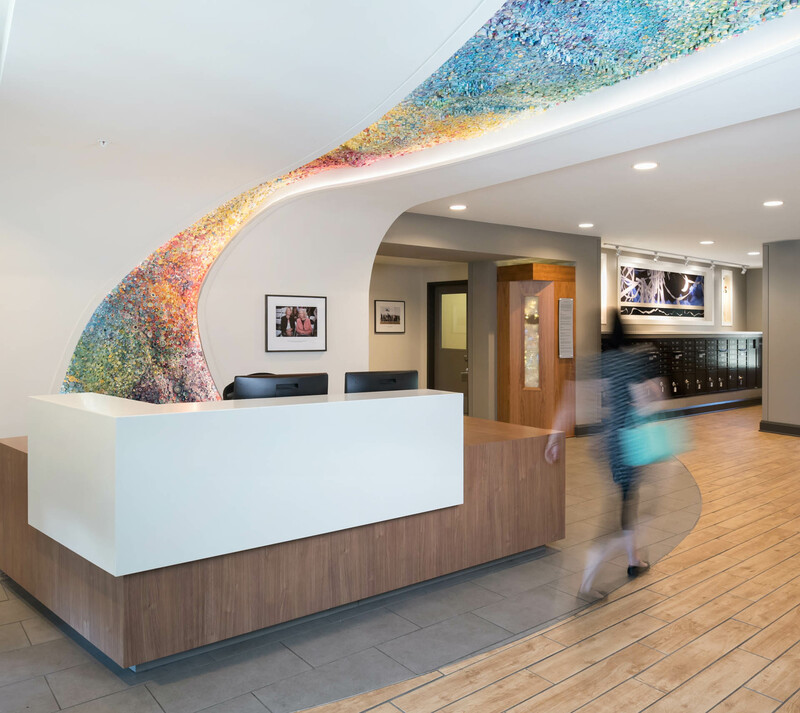 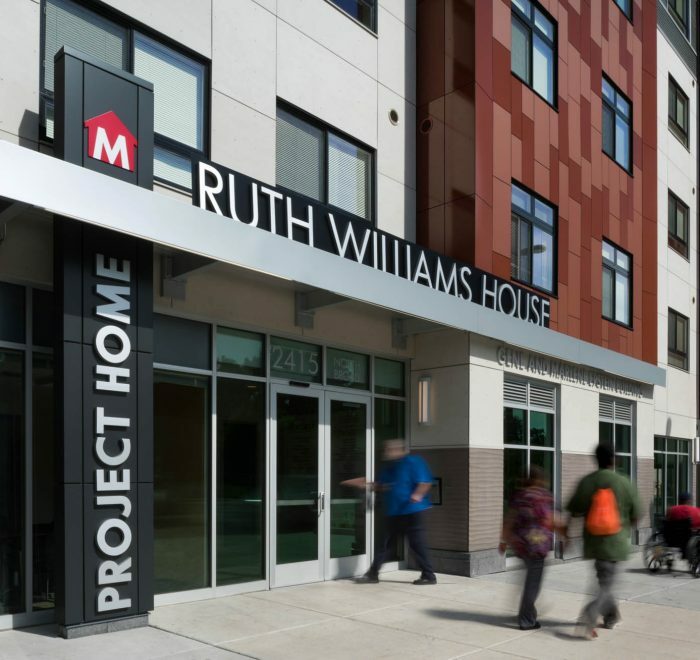 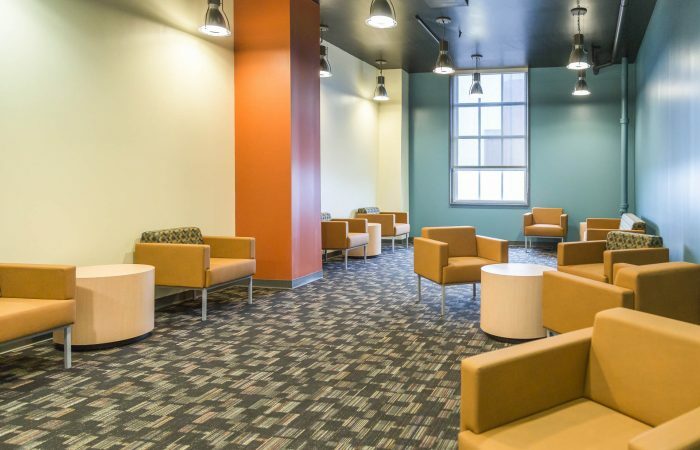 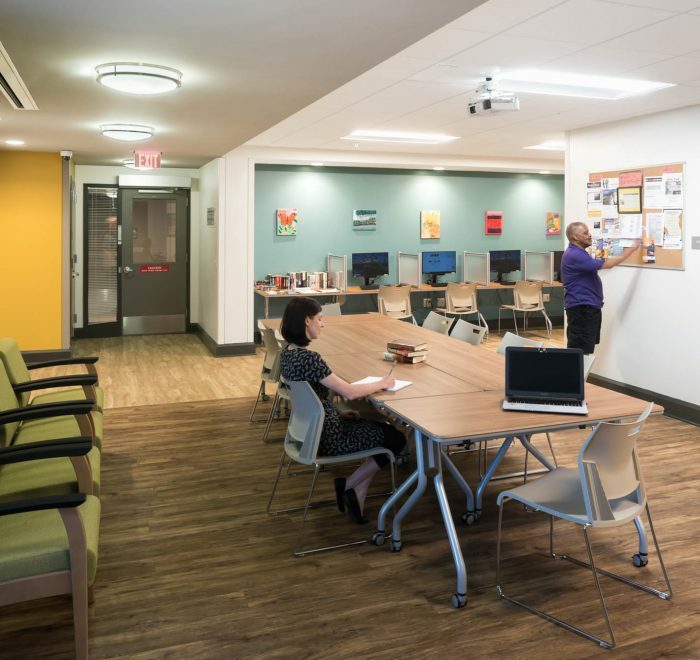 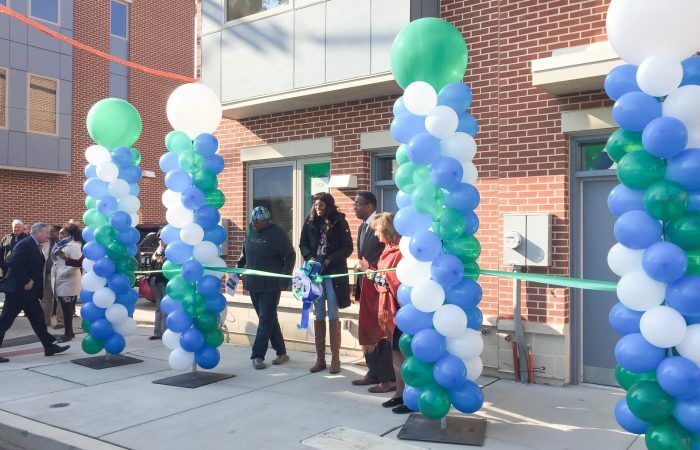 By creating a development that is highly sustainable and offers many supportive amenities for residents, Project HOME can more readily serve the City’s most vulnerable residents with safe, beautiful, efficient, and permanent supportive housing.